Ah . . . the maiden voyage of Big Red. 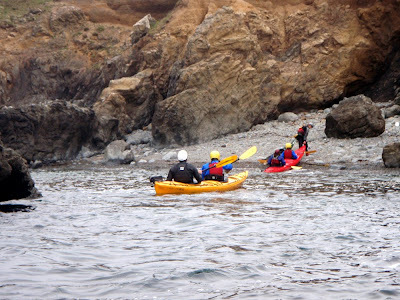 Today we launched Big Red from the Noyo Beach. She is a Wilderness Systems Northstar - tandem sea kayak. This is the 6th of our brand new, specially made for us kayaks and she is a shiny beauty. So how did she do? GREAT!!! 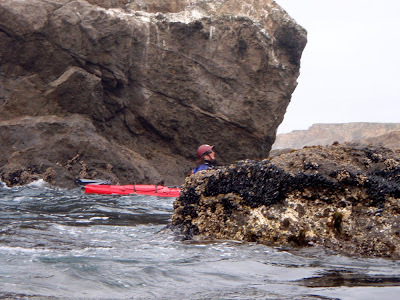 The Mendocino Coast is an amazing place to sea kayak with exposed rocky reefs, sea caves, rock gardens, beautiful intertidal life, interesting marine mam mals, and pelagic birds; however, it is not always the most kayaker friendly area. 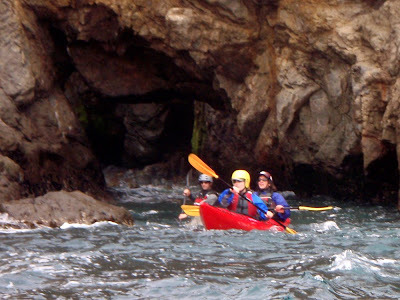 We paddle the Mendocino Coast all the time and use our local knowledge and paddling expertise to guide others. 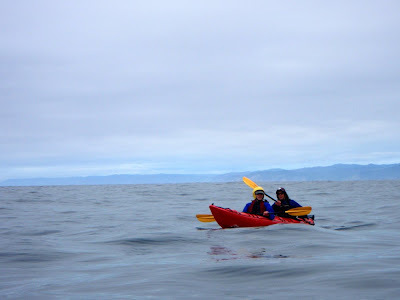 We have found the Wilderness Systems Northstar to be one of the most stable yet maneuverable tandem sea kayaks available for kayaking the Mendocino Coast. It is user friendly for beginners and performs well for experienced paddlers and the outfitting is very comfortable. Here are a few photos of Big Red's maiden voyage. The top one is her at sea with the lost coast in the back ground. The next is Big Red exiting the Sinkhole sea cave followed by Big Red in the maze. Finally Big Red lands on Naked Beach followed by her older sister the Mango Tango.